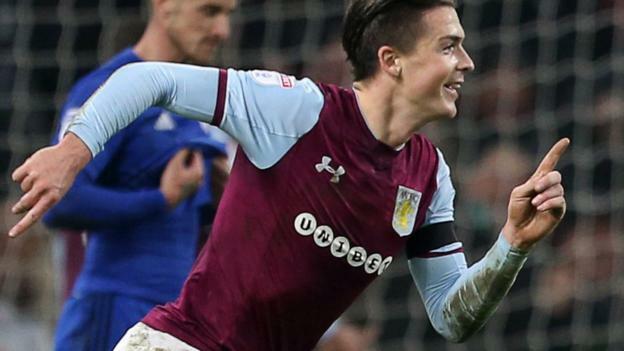 Steve Bruce enthused about the skill and finishing power of Jack Gealish after the young midfield player scored the late goal to give Aston Villa a 1-0 Sky Bet Championship win over Cardiff. With the crucial promotion battle heading for a goalless draw Grealish produced the perfect finish with an excellent goal in the 85th minute. After watching Villa plunge Cardiff to their third successive game without a win the buoyant Bruce claimed: “We all know that Jack Grealish is a talent. To be without him for six months shows what we have missed. “It took him some time to get back to his fitness after his ankle injury against Birmingham City but this was the real Jack Grealish. “He certainly earned his money against Cardiff. To beat Cardiff it was always going to be a little bit of magic and quality as shown by Grealish. Bruce, who paid credit to the fine performance of his goalkeeper Sam Johnstone, said he was pleased with Villa’s display following the defeat at Norwich last Saturday. “I asked questions of them, and they responded to a man which illustrates what it is like in the Championship. Commenting upon the presence of Prince William at the game Bruce added: “It is great that the future king is an Aston Villa fan. Not many people can have that as your number one fan. “To be fair to him he knows his stuff. He came into the dressing room before the team sheet went in. Cardiff manager Neil Warnock was bemused why his side did not win. He said: “I don’t know why we didn’t win. We had some great chances. “I know Grealish scored a world class goal but I do not how Villa’s goalkeeper, Sam Johnstone, was not man of the match. He was unbelievable. One save with his foot was made when he was going the wrong way. “I cannot fault the lads. It was disappointing to lose two games to two world class goals but luck has a habit of evening itself out. “The effort could not be faulted. We created quite a few chances. You could see what it meant to Aston Villa at the end. You would think they had won the World Cup.